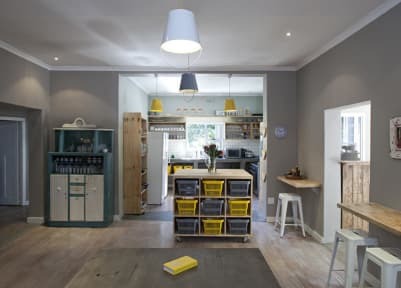 This beautiful boutique backpackers has been transformed into the most special and inviting space - showing off Cape Town’s unique characteristics. The B.I.G has a sparkling pool, garden and braai for comfort and relaxation. 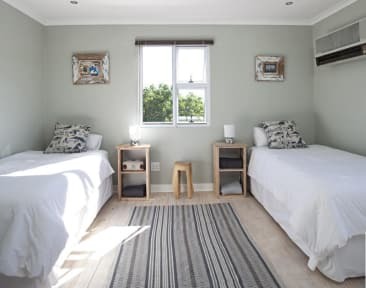 It has single, double, twin, triple, dorm and family rooms available for those passing through and others who want to stay a while and just unwind. The backpackers is self-catering with a continental breakfast included. The B.I.G is perfectly perched in Green Point allowing its guests easy access to the best that Cape Town has to offer. Situated in a tranquil street, nestling below Signal Hill, The B.I.G is within a 10 minute walk of the vibrant Victoria & Alfred Waterfront, Cape Town Stadium, local shops, restaurants, clubs and bars as well as a gym and fitness centre. Also within easy reach are beaches, promenades, the Mother City's Central Business District and convenient transport to the city bowl as well as Table Mountain, museums and galleries. We do not have a 24hr reception but are happy to make a plan if there are late check-ins. I was traveling on my own and I have to say the minute I entered the BIG it didn't feel like it anymore. I hadn't even checked in yet when they asked me if I wanted to join the group for burgers. The BIG staff creates a very home-like atmosphere. Definitely one of the best hostels I stayed in. The B.I.G is a very nice, clean hostel with everything what you need while backpacking. The staff is super friendly, funny and offers group activities. In total I really loved it there. Even if it is more expensive than other hostels in Cape Town it is the money worth it. During my stay the average age of the guest was 25-35. I haven‘t seen younger traveler. Absolut empfehlenswert 👍🏻 Sehr freundliche und hilfsbereite Mitarbeiter, viele Tipps und Infos erhalten. Doppelzimmer war sauber und ruhig, Schlafsaal auch top. Gerne wieder.